Nominations for the 47th Annual Northern California EMMY Awards are out, and in the category Public/Current/Community Affairs-Feature/Segment I find: "A Santa Rosa Cartoonist's Fire Story Comes to Life," KQED 9, Brian Fies, Kelly Whalen and Farrin Abbott. Here's a link to it if you missed it the first time. 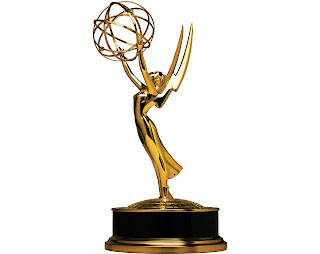 To explain more than necessary: these are regional Emmy awards, not the big-time Hollywood Emmys, although the organizations are affiliated and the statues are (I think) the same. If you've ever toured a TV station and seen an Emmy on the news anchor's desk, that's what these are. Which is pretty darn cool! I really enjoyed working with Kelly and Farrin, as well as KQED Arts Editor Gabe Meline, who approached me with the idea of animating "A Fire Story" in the first place. They couldn't have been more sensitive, considerate and respectful, and their piece brought my story to literally millions of more people. Doesn't matter if I get a statue, I already won. Although I'd take a statue if they gave me one. Winners will be announced at a black-tie gala in San Francisco on June 2. Now I've gotta find a black tie.